The Star Sable Portfolio provides maximum protection to its contents with its acid-free, acrylic coating. 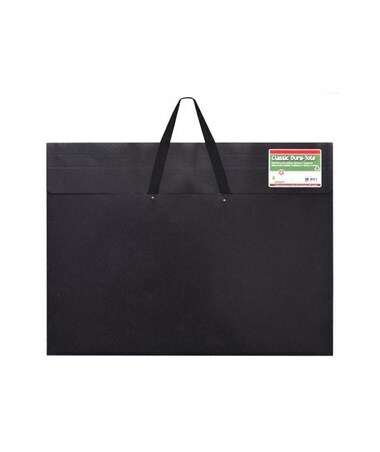 Ideal for storing and carrying documents, it is stain-resistant and water-proof offering safe and archival storage. It features a Velcro closure and nylon carrying handles to ensure convenient and secured transport. With a full two-inch expansion, it has ample space to accommodate more items. The Star Sable Portfolio is made of post-consumer recycled material and is 100 percent recyclable. It comes in black color. To provide solution to most storage needs, it is available in four sizes. 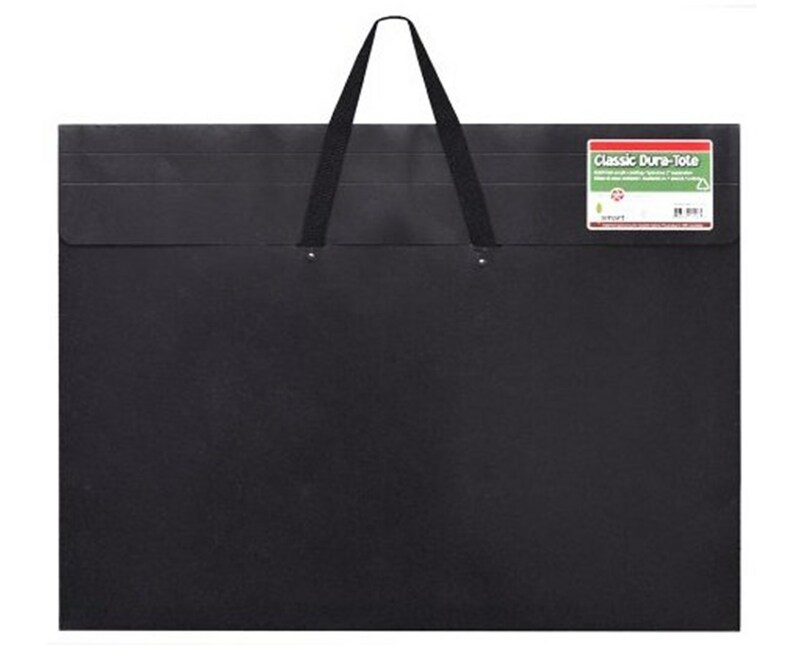 The smallest 10”W x 15”L model is great for loose notes, papers, books, and other small items while larger variations—17”W x 22”L, 20”W x 26”L, and 23”W x 31”L—are perfect for large-format materials such as drawings, maps, and artworks. The Star Sable Portfolio offers four different sizes to suit various document storage needs. Please select your preference from the menu above.